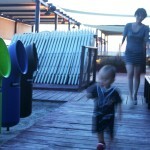 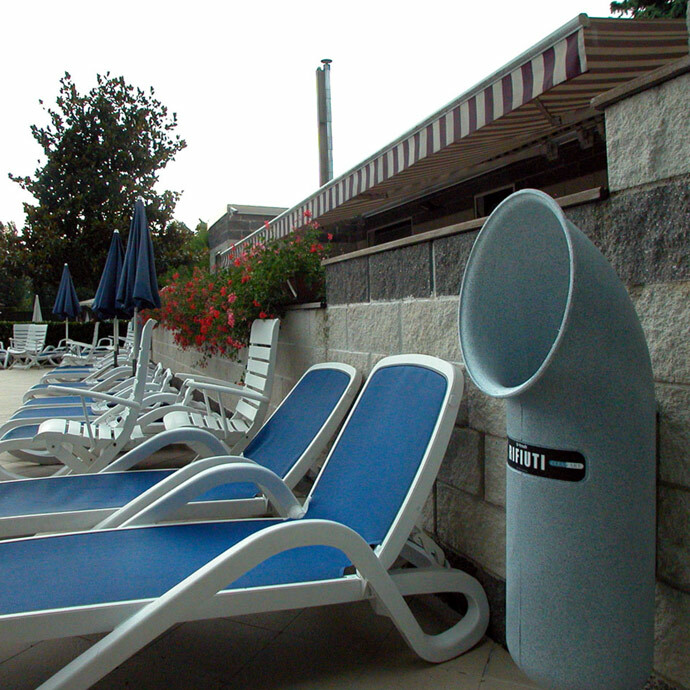 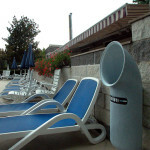 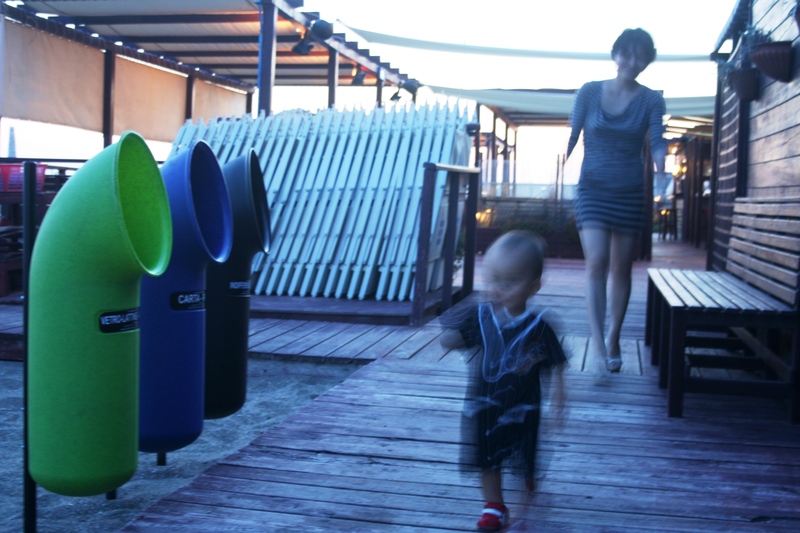 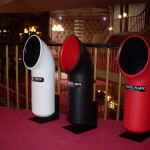 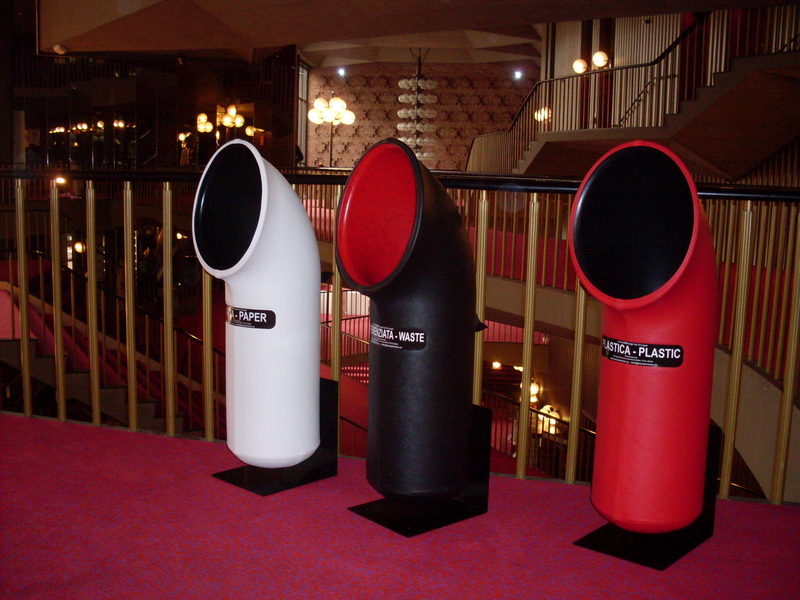 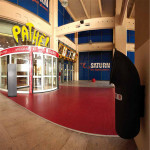 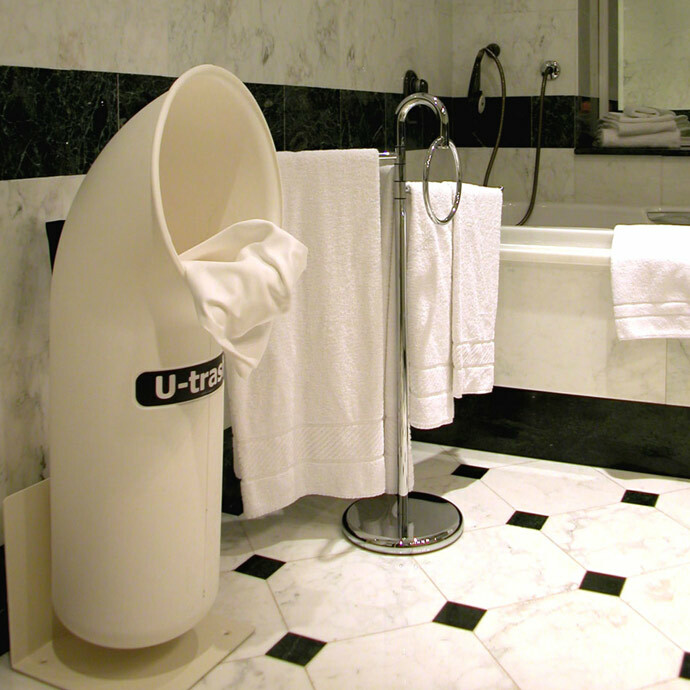 U-trash is made with the technique of rotational molding in a single block of high density polyethylene. 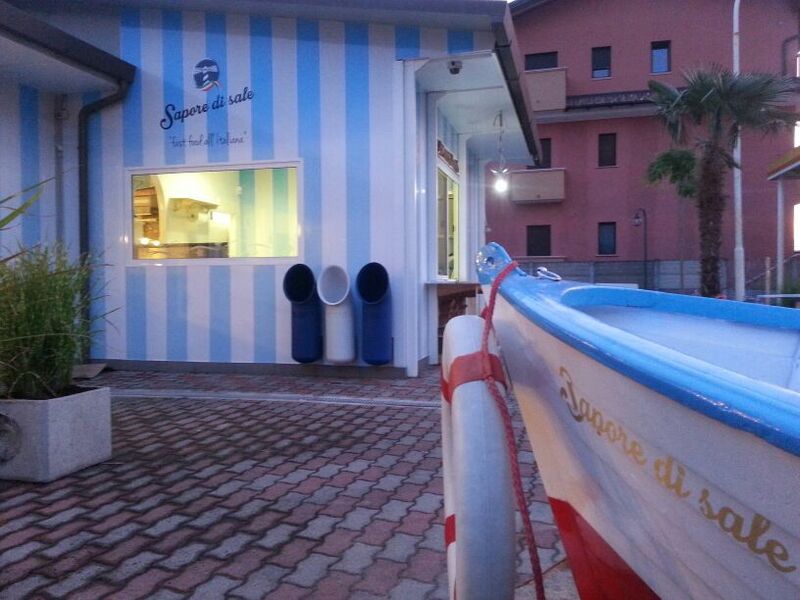 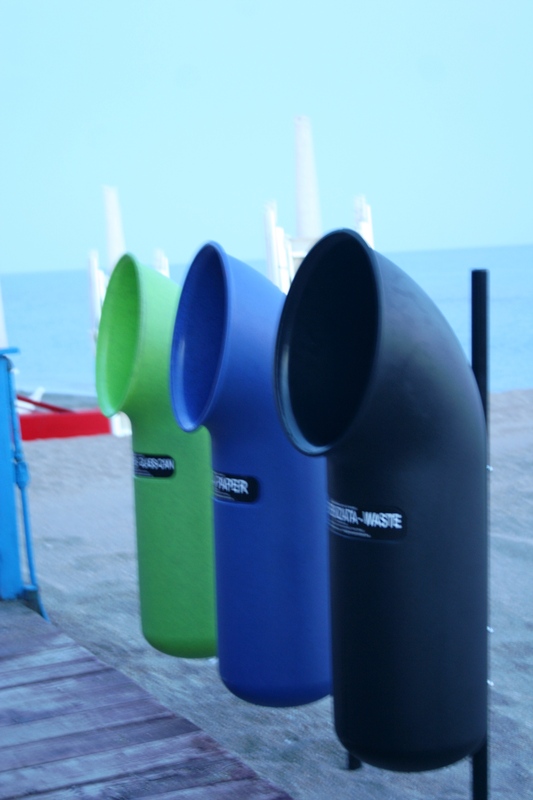 Such a manufacturing process and its particular shape, defined naval wind sleeve, give to the container a high impact resistance, to the atmospheric agents, to sea salt and any acts of vandalism. 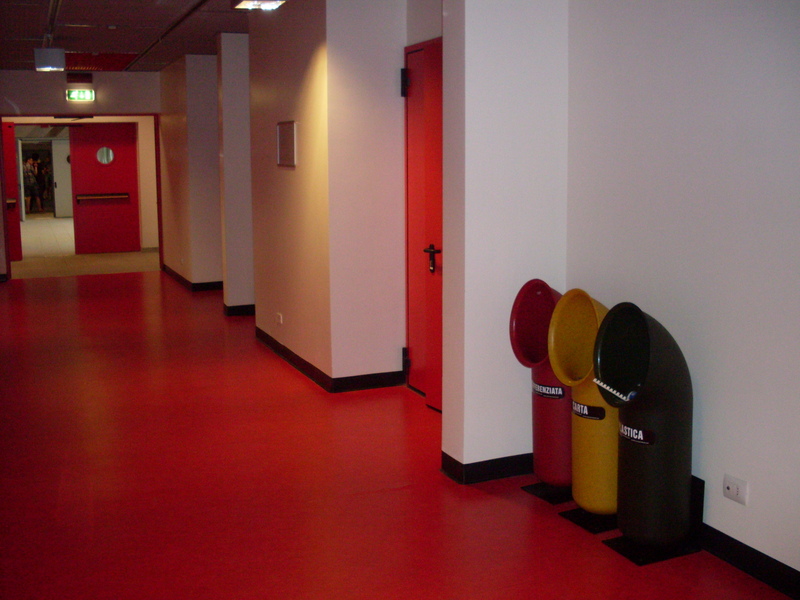 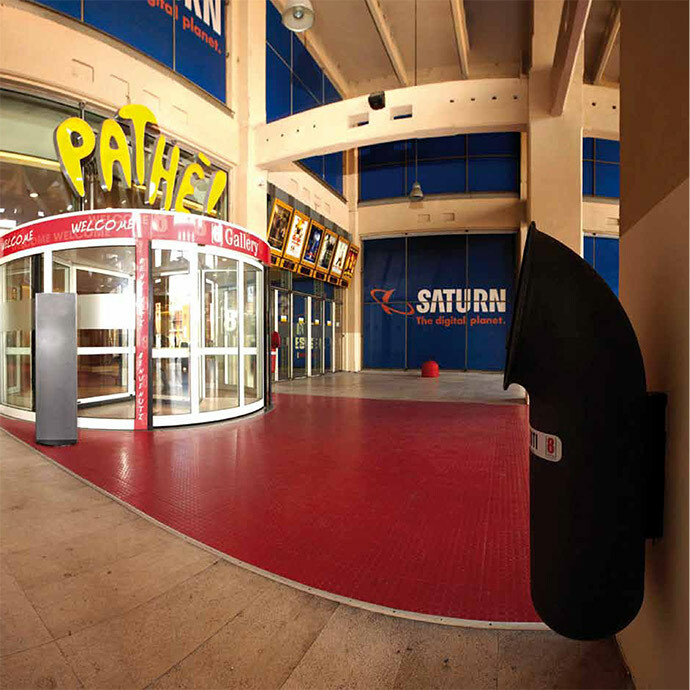 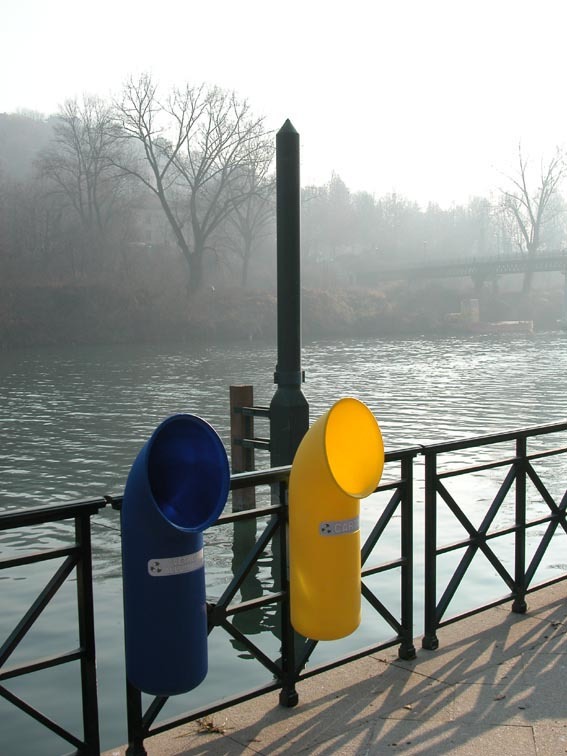 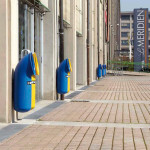 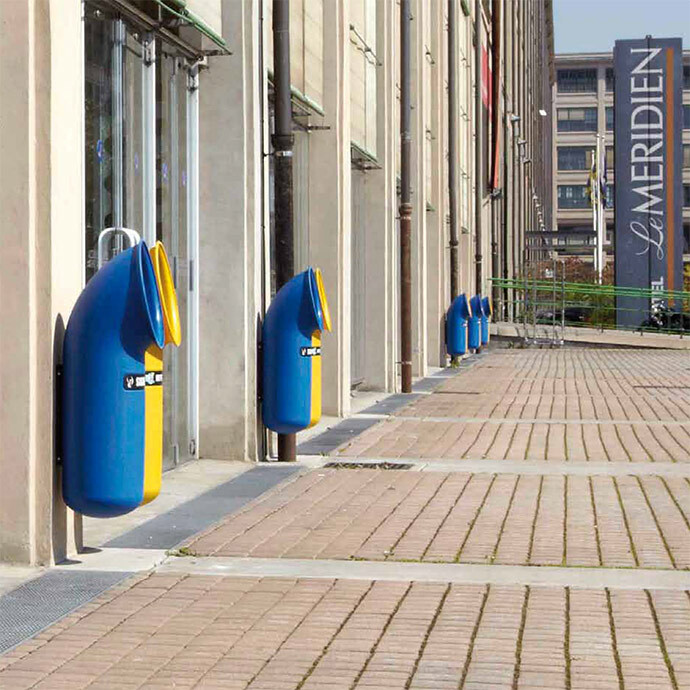 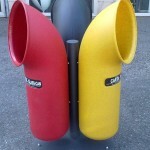 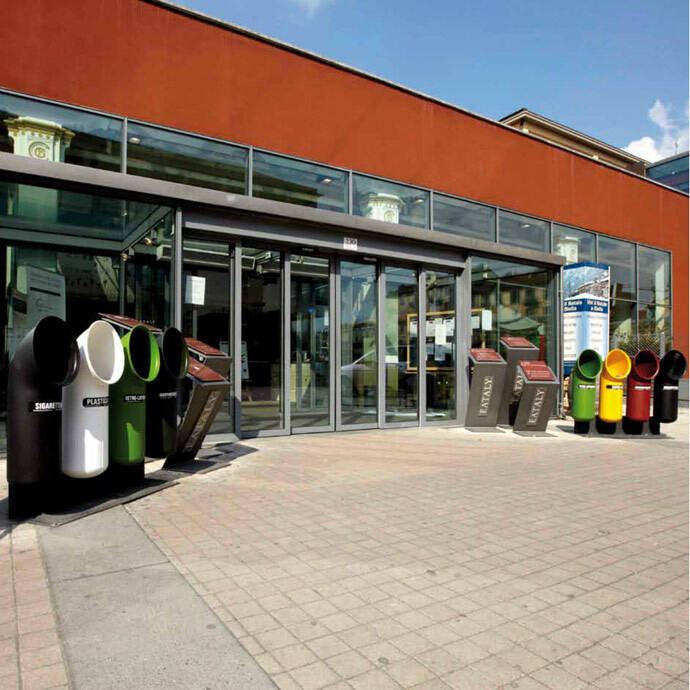 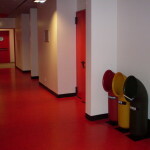 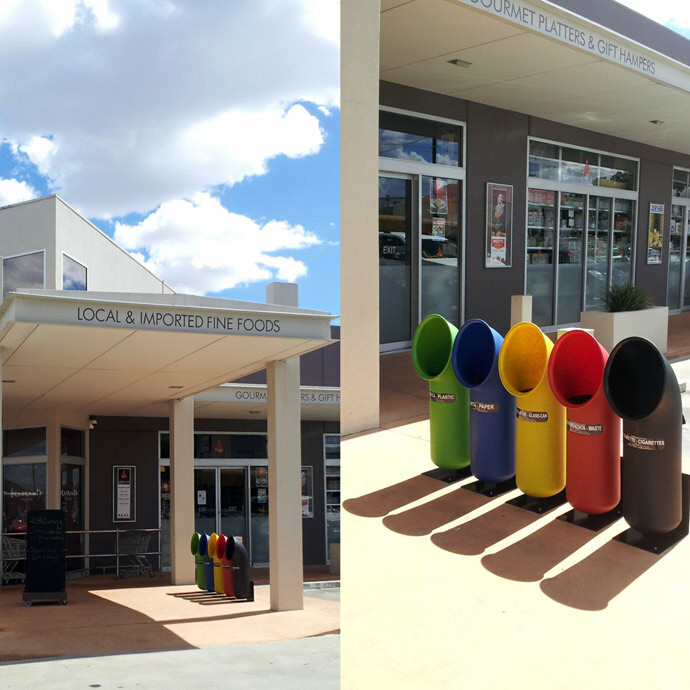 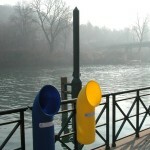 U- trash is available in two basic versions: KIT A for wall or pole with the special bracket supplied, and Kit B for floor fixing with the media engagement. 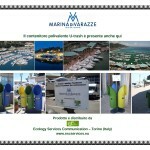 They can also be made mini ecological islands with stainless steel supports fixed or movable mounted on castors. 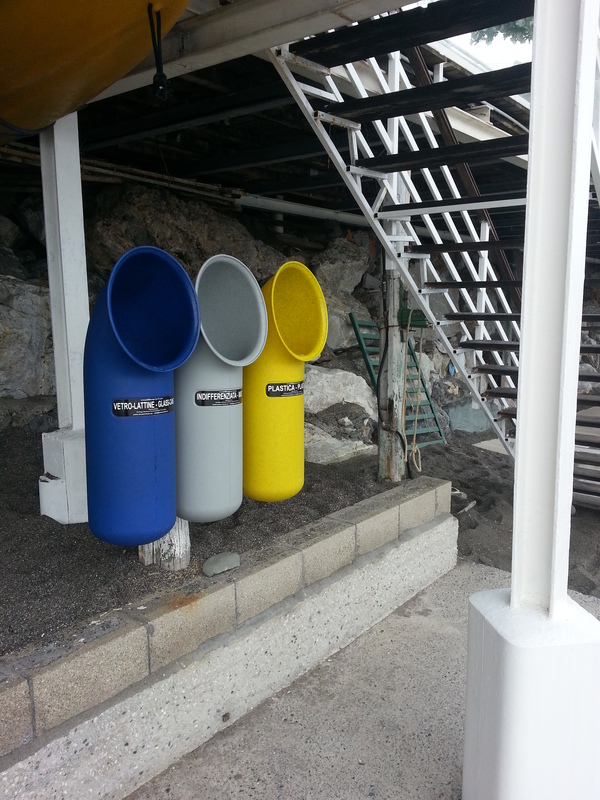 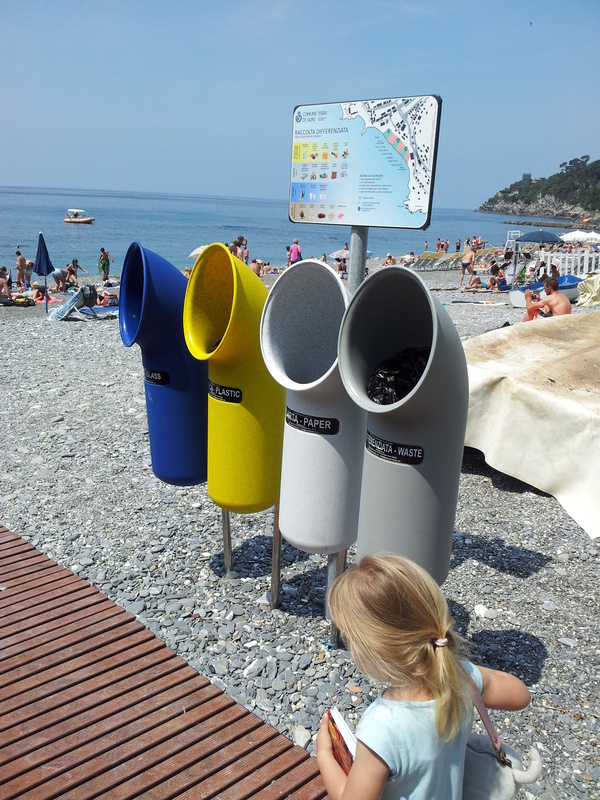 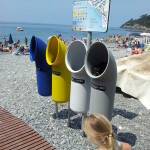 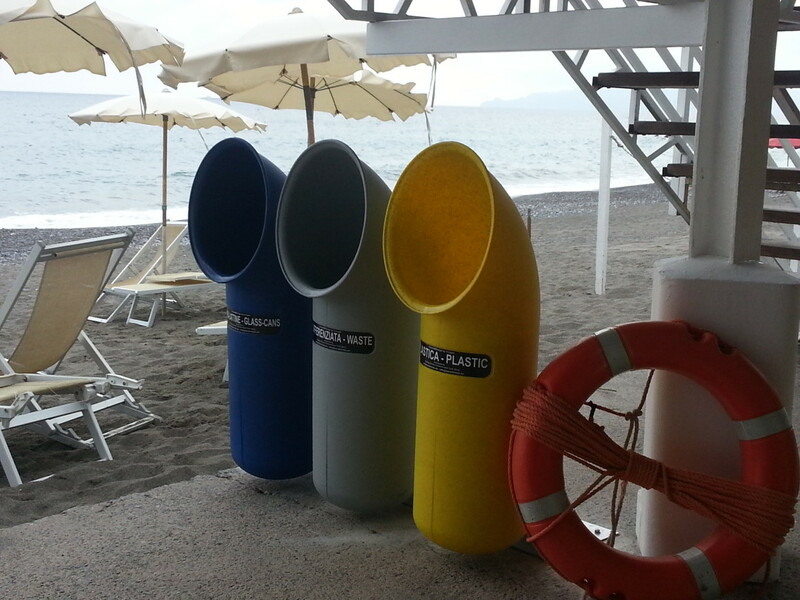 For use in bathing establishments, we have created a special accessory holder stainless steel (U-trash on the beach) to positioning the container directly on the sand, allowing the possibility of fast movement of the container according to daily necessities of service. 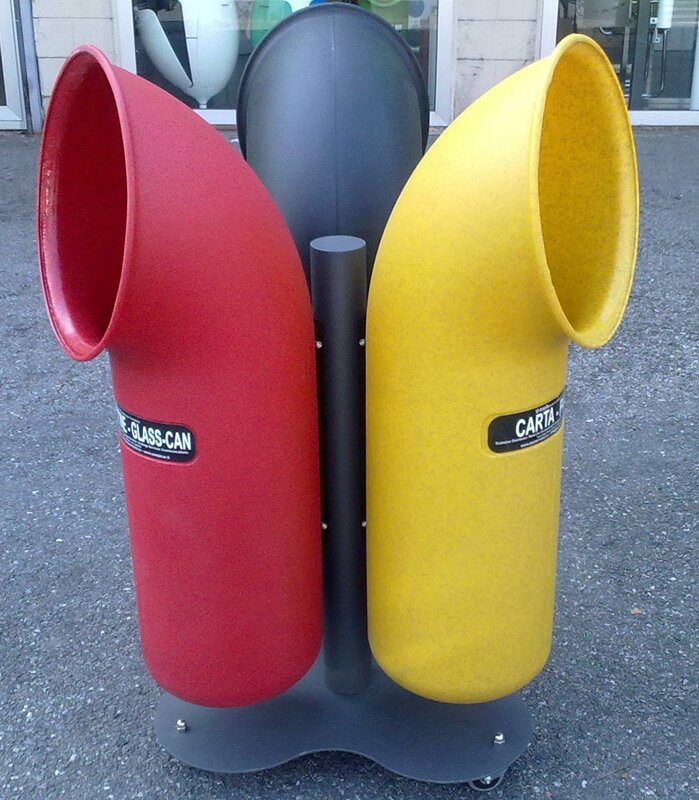 There are two accessories to be inserted inside: a firm lot of steel and a metal container with stainless steel grid for the containment of cigarette butts. 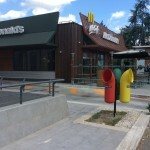 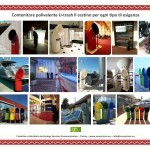 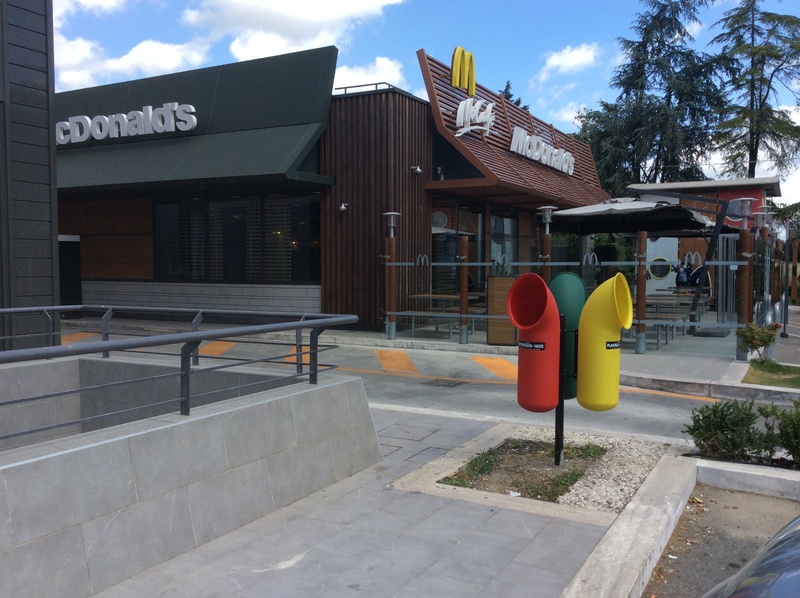 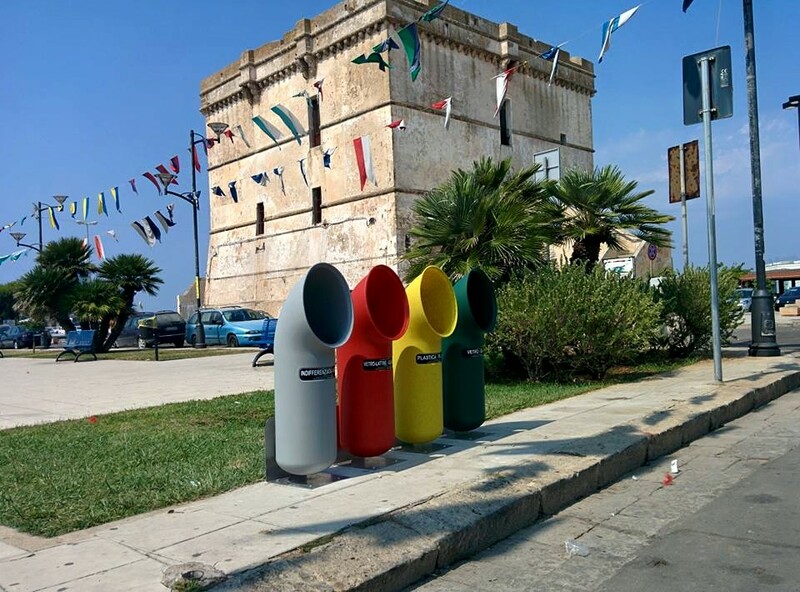 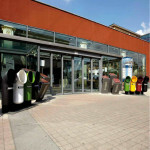 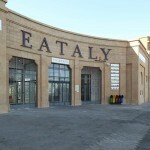 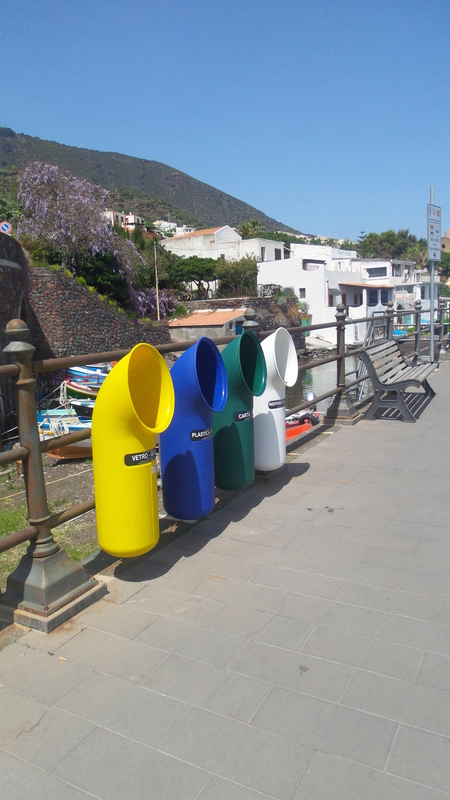 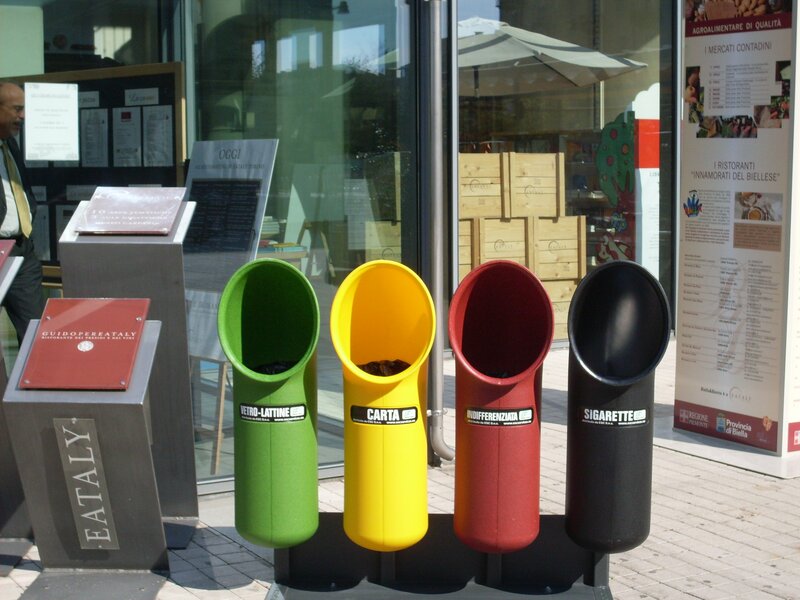 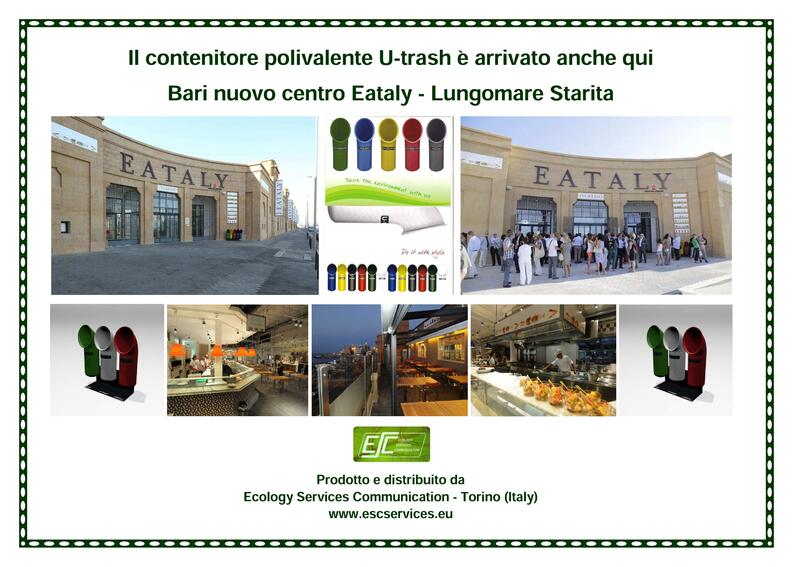 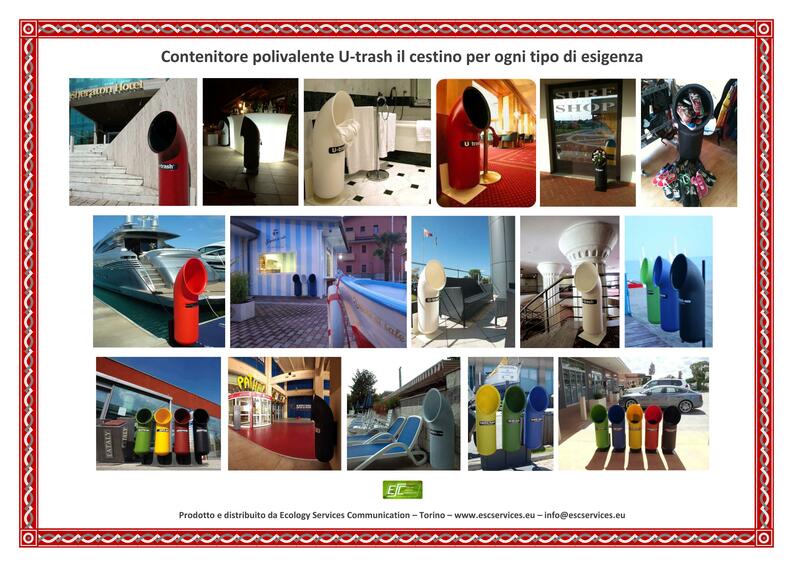 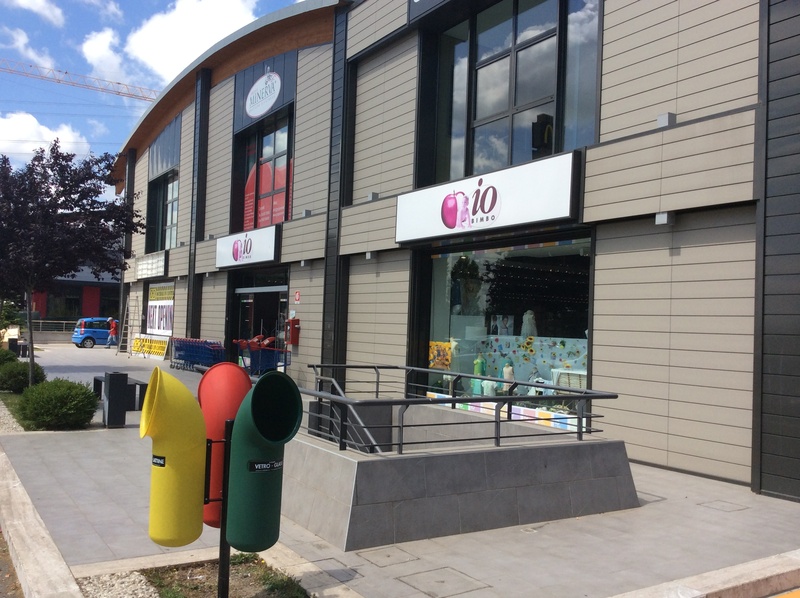 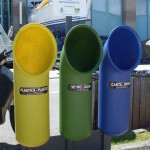 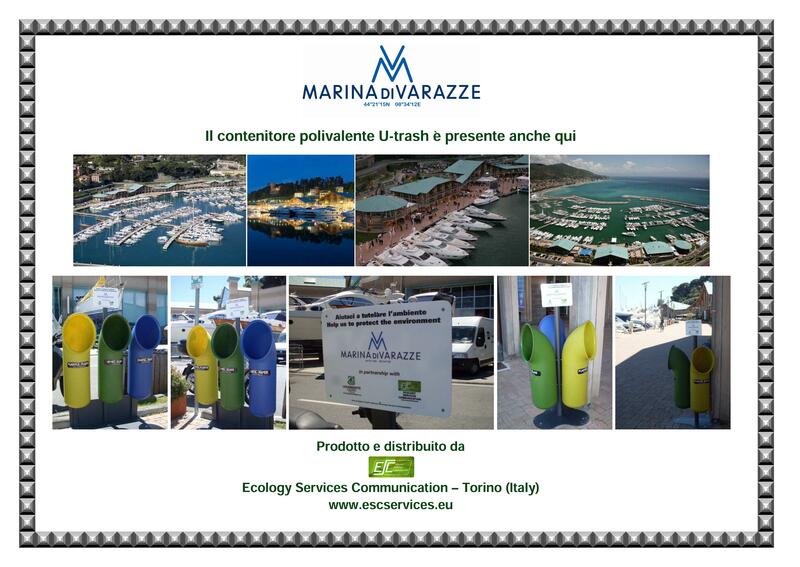 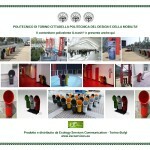 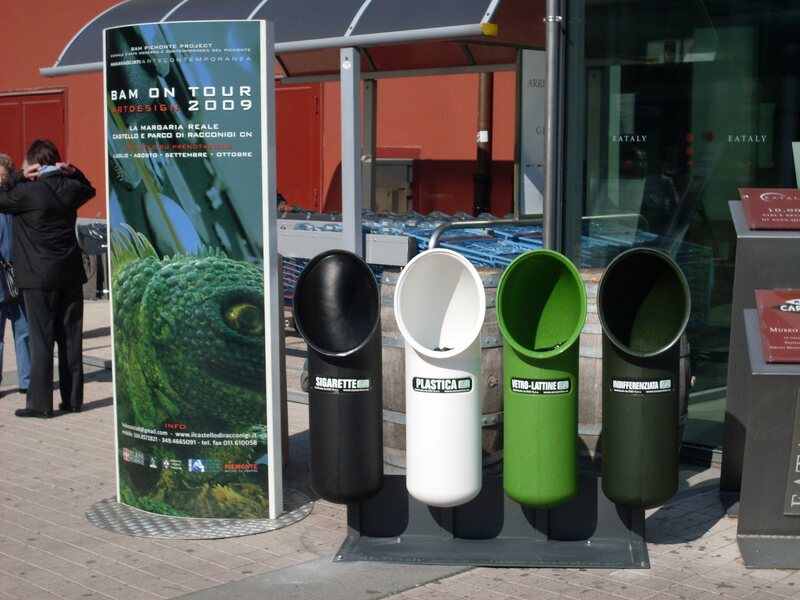 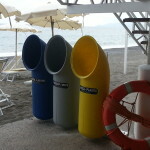 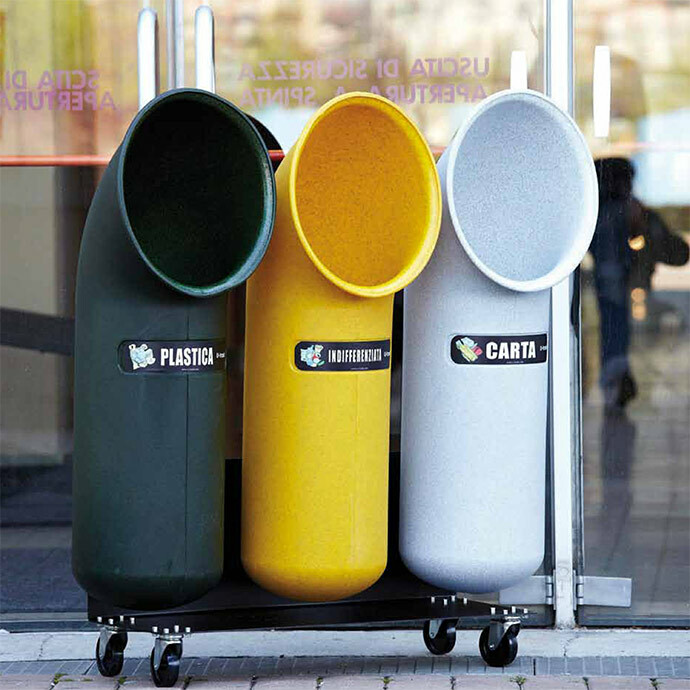 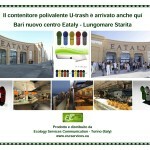 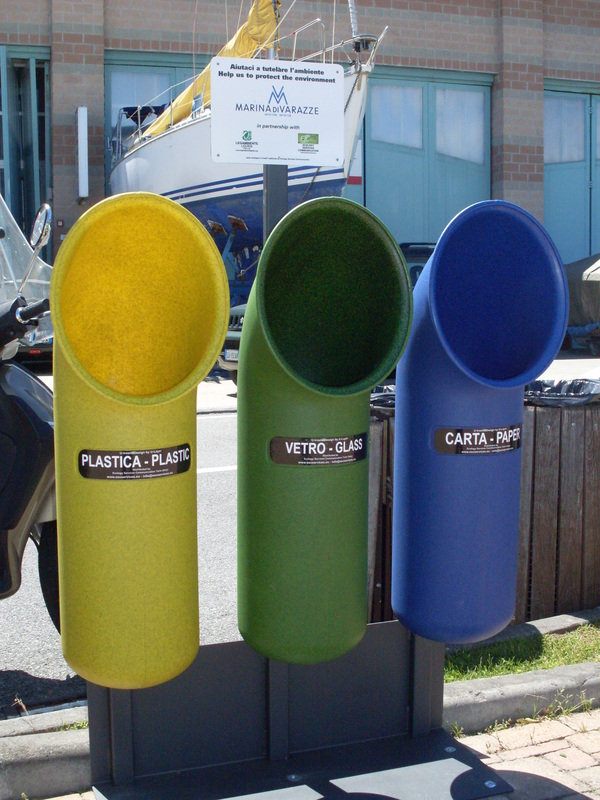 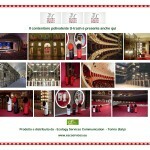 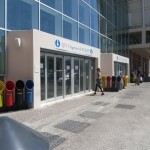 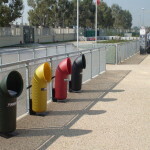 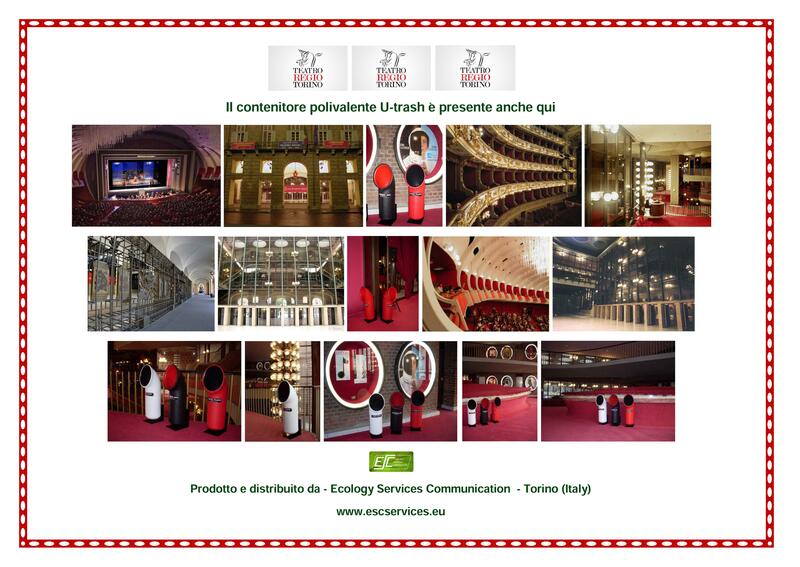 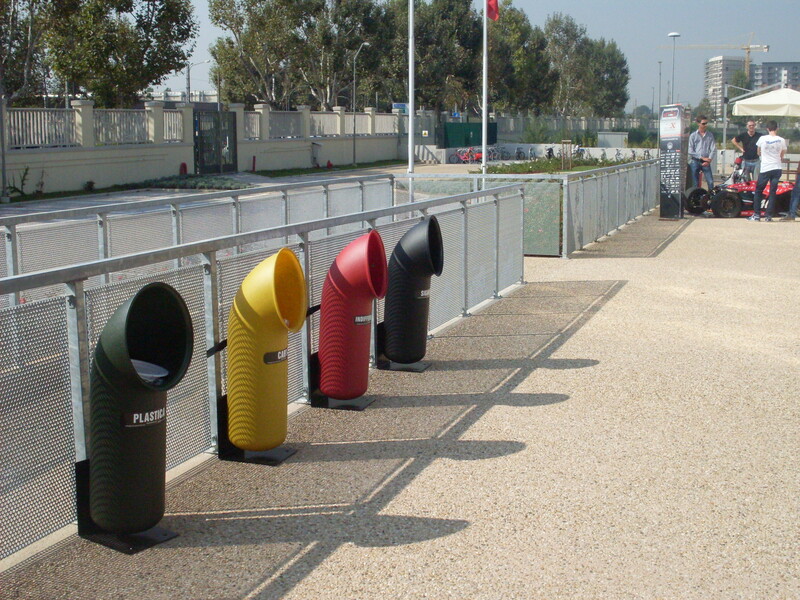 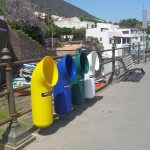 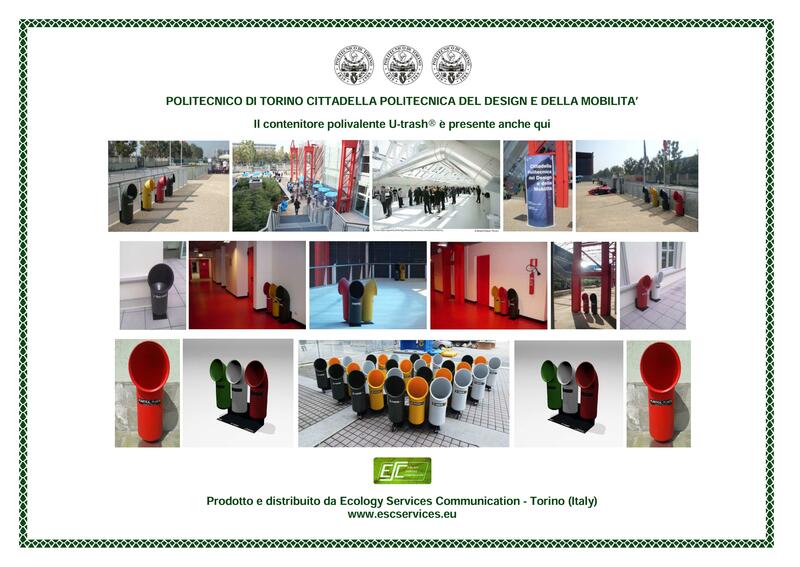 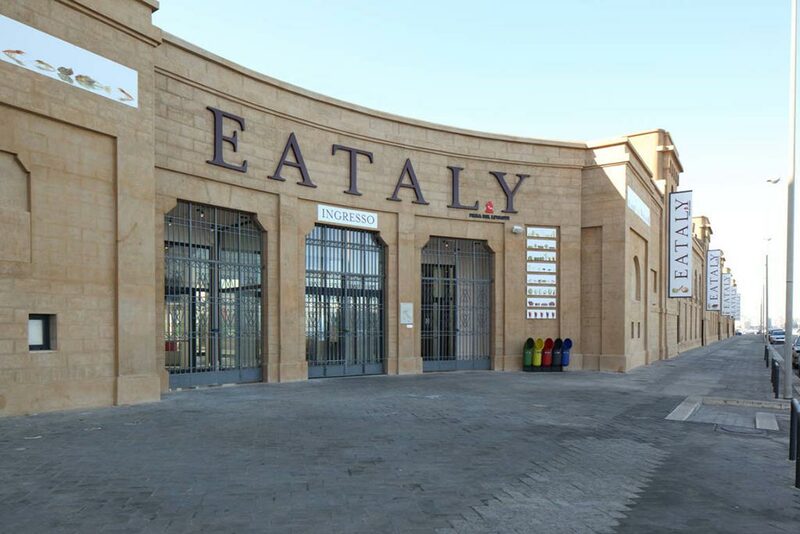 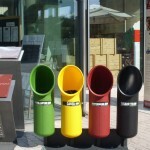 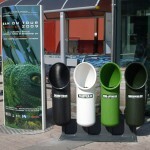 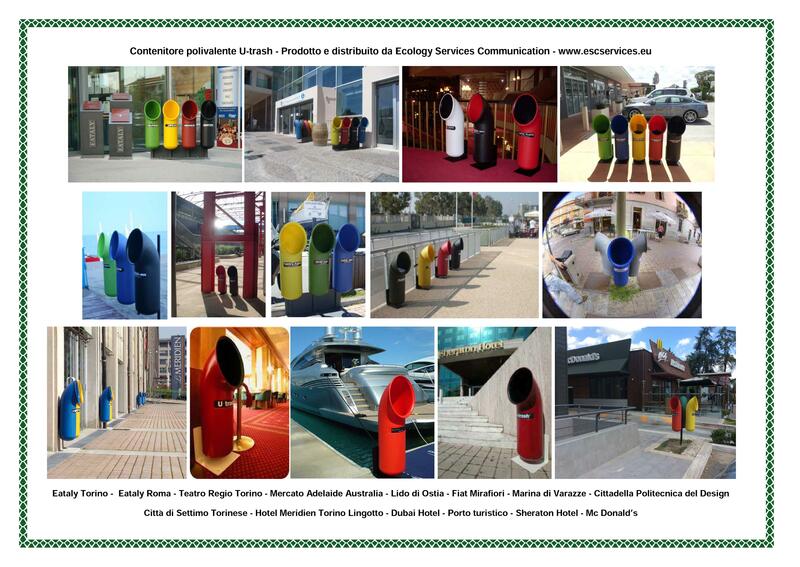 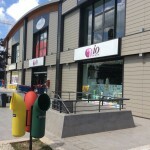 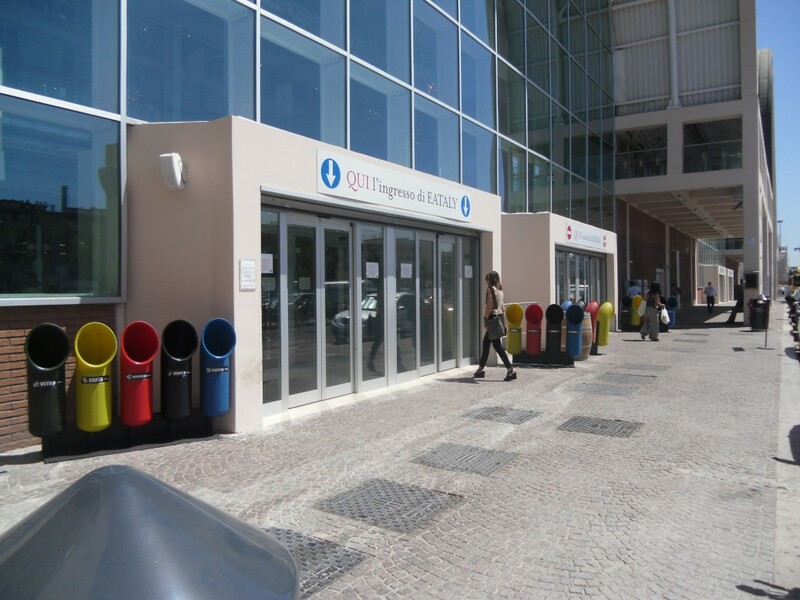 The identification of the different types of waste to be included in the individual containers, the object is highlighted by UV adhesives in Italian and English. 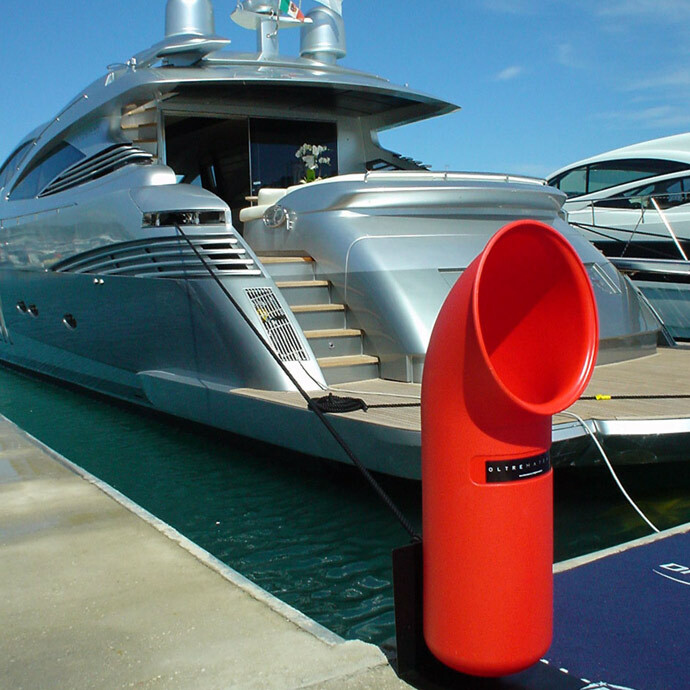 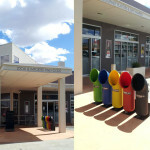 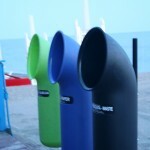 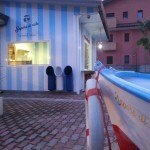 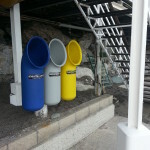 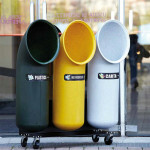 U-trash is easy to empty and clean and requires little or no maintenance. 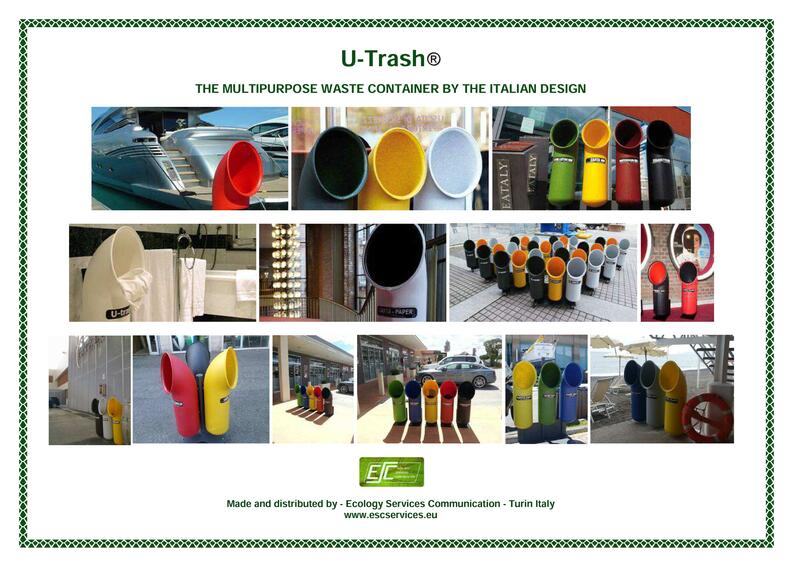 To respect and protect the environment container U-trash ®is made of recycled polypropylene in percentages ranging from 70 to 100%. 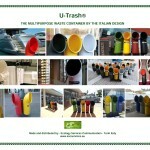 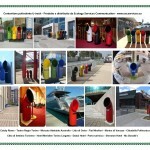 U-trash can be customized with company logo on request of the customer.